I wasn’t quite sure what to call this recognition, but I knew I need to call out Kuramathi’s exceptional touches to old fashioned relaxation. 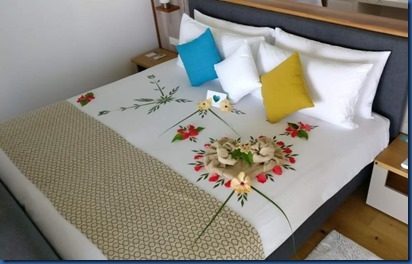 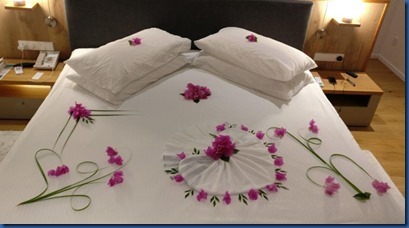 Kuramathi was the first resort that I ever posted for its distinctive bed-art marking. They have clearly made it a resort trademark, in fact taking it up a notch with the latest generation of bedroom artistes. 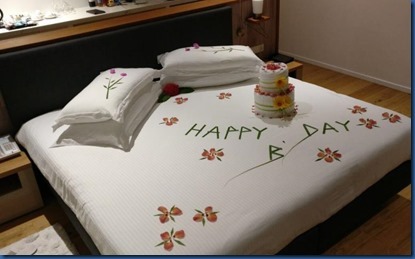 My favourite is his birthday greeting complete with towel birthday cake (see photo at top). 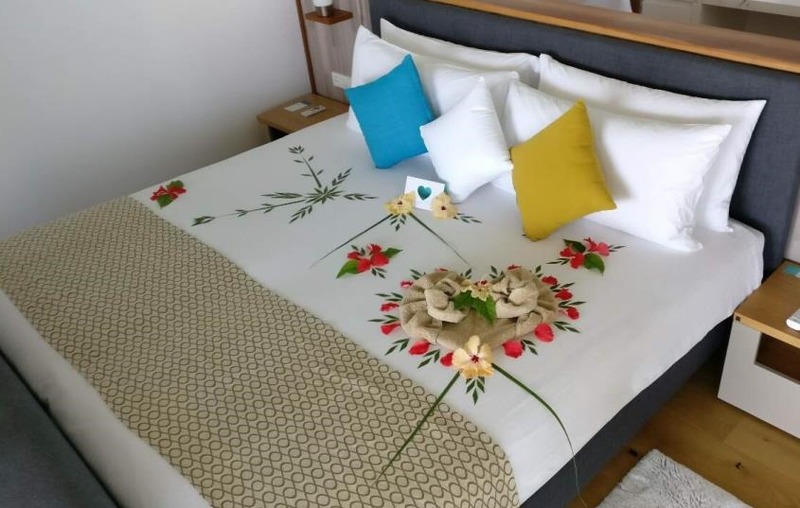 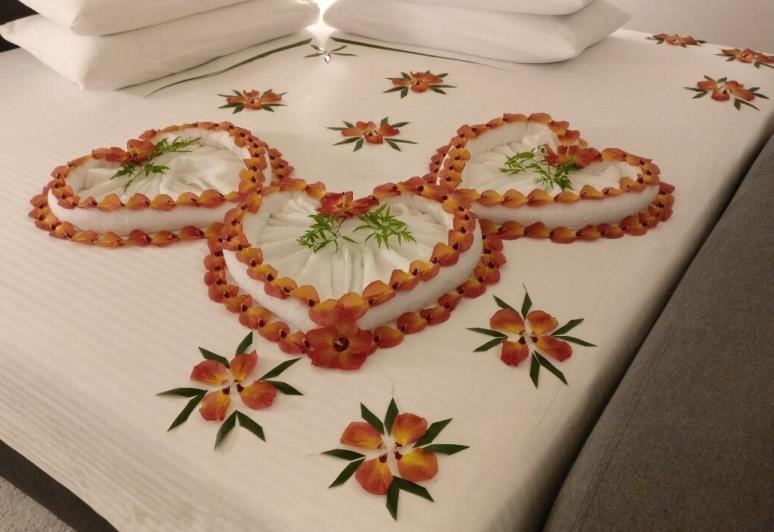 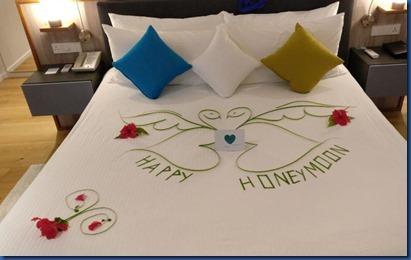 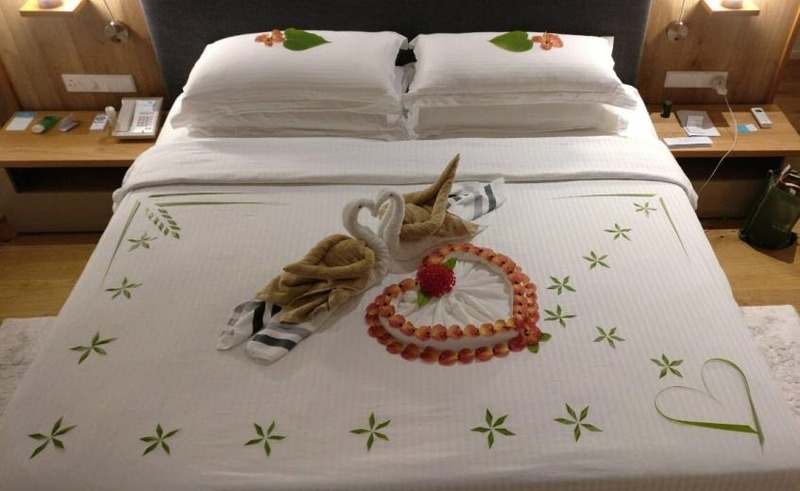 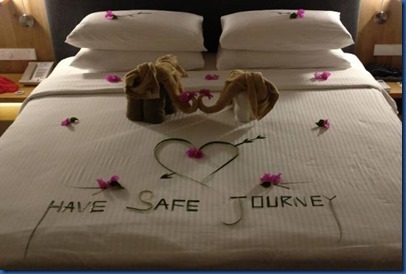 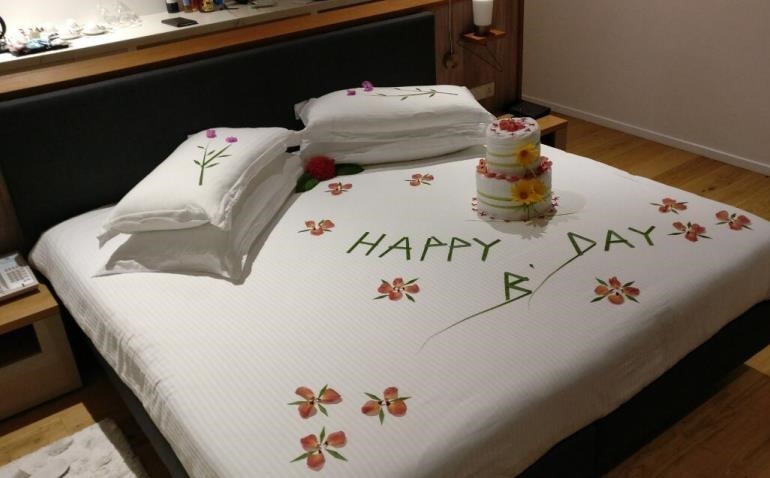 For a gallery of Maldives bed decorating masterpieces, check out the Maldives Complete “Bed Art” Pinterest board.